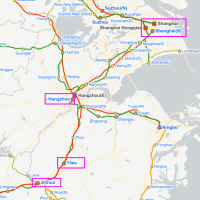 The map that shows location of Hangzhou east station, Hangzhou railway station, Hangzhou south station and Xiaoshan Airport, as well as the West Lake. 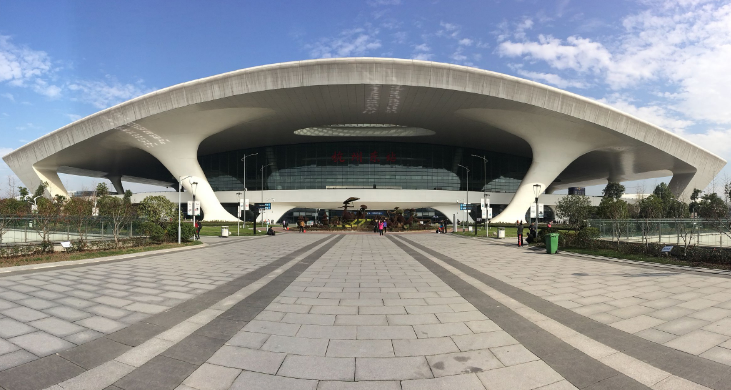 Hangzhou East Train Station (Hangzhou Dong, HangzhouDong, 杭州东站) is a large transportation hub located in Tiancheng Road, Jianggan District of Hangzhou. It is about 10 kilometers from Hangzhou Railway Station, 27 km from Hangzhou Xiaoshan International Airport, 11 km from West Lake, and 15 km from Hangzhou West Bus Station. This station only serves high speed train service to and from Hangzhou. 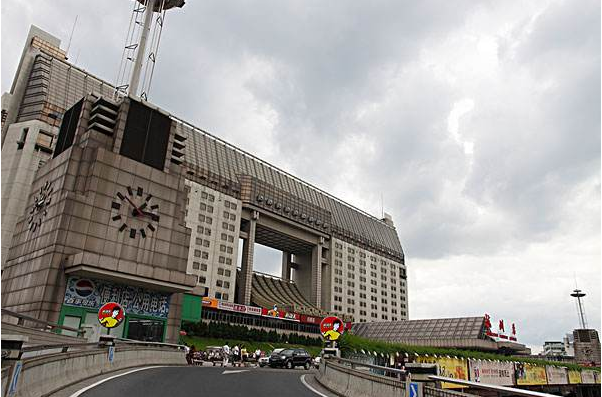 As Hangzhou East Station are far from city center, the best way to get there is using metro. Passengers can take Hangzhou metro line 1 or metro line 4 to get to East Railway Station (metro stop: 火车东站). Besides, you can also take a public bus to Hangzhou East: Bus 9, 48, 93, 107, 108, 123, 320, 391 (in East Square), and 20, 28, 31, 33, 43, 105, 106, etc (in West Square). Hangzhou Railway Station (Hangzhou, 杭州站) sometimes called Chengzhan by the locals, is another train station serving Hangzhou, which is located in Shangcheng District of Hangzhou (杭州市上城区). It is about 28 km from Hangzhou Xiaoshan Internatioanl Airport, 4km from West Lake, 11.4 km from Hangzhou West Bus Station. Most of the trains operating in and out of Hangzhou Railway Station are the K, Z, T type regular trains as well as a few D and G type high speed trains. 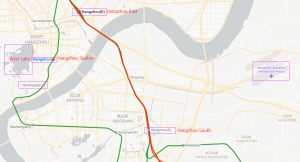 Hangzhou Railway Station can be reached by Hangzhou metro line 1 or metro line 5 (under construction). Just take the line 1 or line 5 and get off at Chengzhan metro stop (城站). 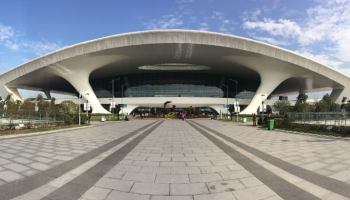 Airport bus: Passengers can take airport buses, namely the Hangzhou East Railway Station Special Line to travel between Hangzhou East Station and the Airport. A single bus ride costs CNY20 per person, and journey time about 30 minutes. 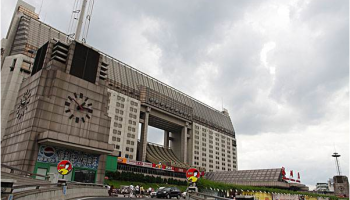 Compared to the East Station, Hangzhou Railway Station is more close to West Lake (Xihu), just 4km away. Travellers can take the public bus 2 from Hangzhou Railway Station and get off at the Yongjinmen Stop (涌金门站), then walk 200 meters to get the the lake. You can also get off at Sudi bus stop (苏堤站). In this section, you will learn how to travel by train from Hangzhou to some hot destinations, with tips, timetable and station to choose recommended. There are over a hundred of daily high speed trains plus a few normal trains running between Hangzhou and Shanghai, the two of the most developed cities in Yangtze River Delta. You can travel from Hangzhou to Shanghai by high speed trains. Just hop-on one of the 130 daily bullet trains from Hangzhou East to Shanghai Hongqiao, which may cost you from CNY 72 in a second class seat and takes about 1 – 1.5 hours. 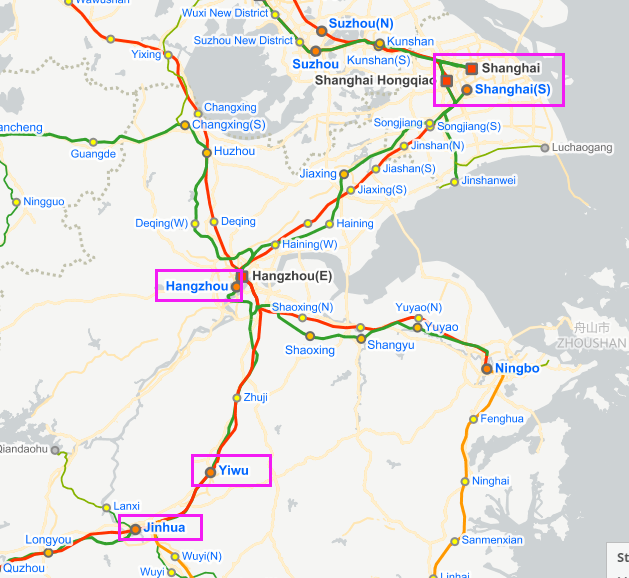 Most of the D and G type high speed trains leaves from Hangzhou East Railway Station & arrives at Shanghai Hongqiao Railway Station, with a few departing from Hangzhou Railway Station & arriving at Shanghai Hongqiao, and Shanghai Railway Station. Don’t get confused with these train stations. Suzhou (see Suzhou Train Travel page), the home to Chinese classic traditional garden, is located in Jiangsu Province, about 271 kilometers from Hangzhou. There are frequent daily high speed trains linking Hangzhou with Suzhou, taking 1.5 – 2 hours and ticket fare is from CNY 110 in a 2nd class seat. The D and G type bullet trains are the best option. Most of the high speed trains (25 daily) departs from Hangzhou East Railway Station and only one bullet train leaves from Hangzhou Railway Station. And the high speed trains arrives at Suzhou Railway Station, Suzhou Yuanqu Station (Industrial Park) or Suzhou North Railway Station (Suzhou Bei). For returning trip, see Suzhou to Hangzhou train. Nanjing, the capital city of Jiangsu Province is about 488 kilometers from Hangzhou, the capital city of Zhejiang Province. 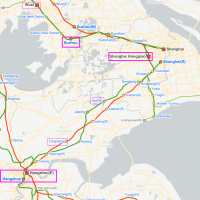 The two cities are well connected by two high speed rails: the Nanjing – Hangzhou Passenger Railway and the Nanjing – Shanghai – Hangzhou HSR. High speed trains from Hangzhou to Nanjing run over 100 times a day, most of which depart from Hangzhou East Railway Station & arrive at Nanjing South Railway Station, with 2 – 5 trains using Hangzhou Railway Station & and stopping at Nanjing Railway Station. 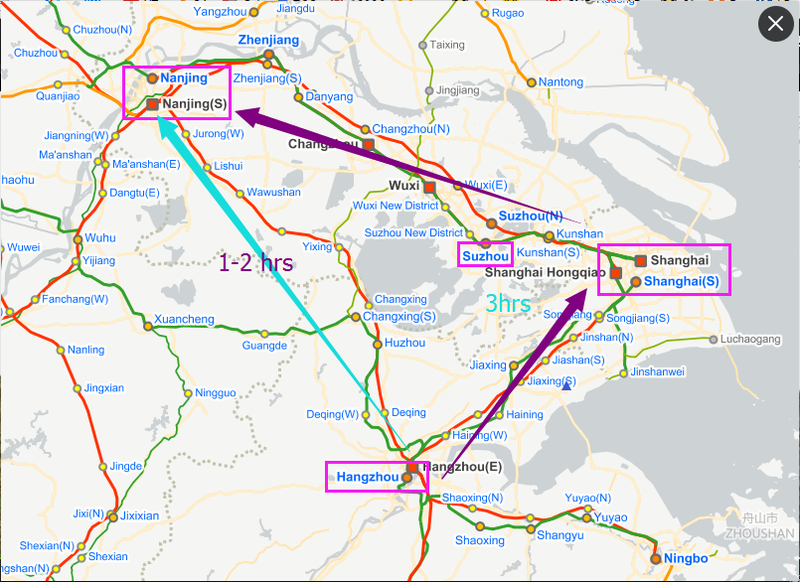 The high speed trains running on Nanjing – Shanghai – Hangzhou HSR & calling at Tongxiang, Jiashan South, Shanghai Hongqiao, Kunshan South, Suzhou, Wuxi, etic, take around 2 – 3.5 hours and cost from CNY 216 in a second class seat. While, the bullet trains running on Nanjing – Hangzhou Passenger Railway go directly from Hangzhou to Nanjing and call at Deqing, Huzhou, Changxing, Yixing, Jiangning, Nanjing, etc, taking 1-2 hours and costing from 117.5 yuan. 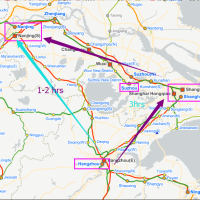 It is very easy to travel from Hangzhou to Yiwu by train, as there are numerous direct high speed trains running between the two destinations using Hangzhou East Train Station and Yiwu Train Station. The rail journey usually takes about 30 – 50 minutes and costs from 33.5 or 50 yuan for a second class seat. All the bullet train types are D and G train. The distance between Hangzhou & Yiwu is 139 kilometers, and you can also travel from Hangzhou to Yiwu or back by bus. It is just a short bus ride. By high speed trains: There is no reason to fly from Hangzhou to Guilin, as the high speed train is the ideal way to travel between. The high speed trains run 4 times a day from Hangzhou East Railway Station and arrive at the centrally-located Guilin Railway Station, taking about 8 – 8.5 hours to cover the rail journey of 1340 kilometers, costing from CNY586.5 for a second class seat, or CNY 931.5 in a first class seat, and stopping at Shangrao, Nanchang West, Changsha South along the route. 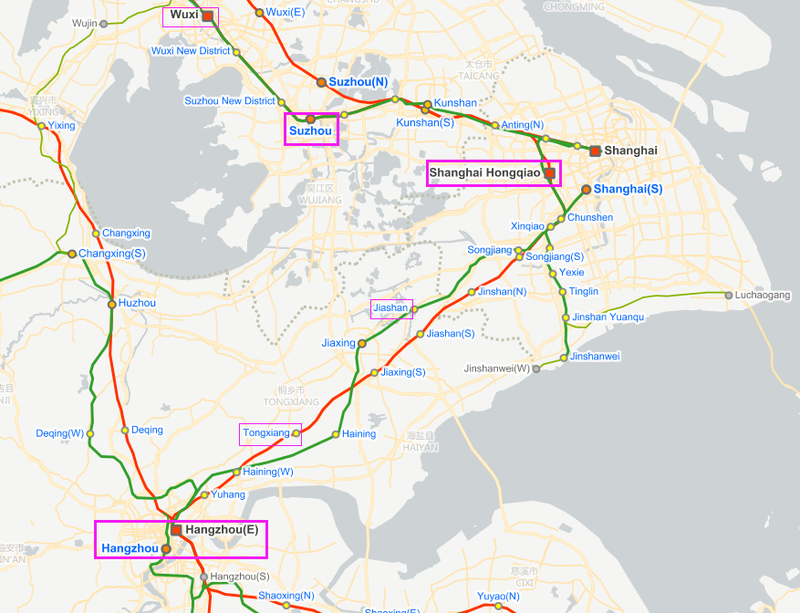 By connecting bullet trains: As there are only 4 daily high speed trains from Hangzhou to Guilin, what if all of them are sold out? Here comes the solution. Just split your rail journey by making a connecting at Changsha West, which means that you can travel by high speed train from Hangzhou East to Changsha South, then a connecting high speed train to Guilin Railway Station or Guilin North Station. Remember to allow 50 minutes or more to make the transfer. By overnight trains: This option makes sense for those who travel on tight buget as the night trains are much cheaper than high speed trains and help save you a hotel bill. The 4 daily overnight trains K149, T77, T381 and T25 depart from Hangzhou East Station and arrives at Guilin North Station, taking around 16 – 18.5 hours. And a hard sleeper costs CNY296.5 or CNY304.5, a soft sleeper costs CNY464.5 or 476.5 depending on which train you are riding. iwould like to know how do i travel to hangzhou west lake for a day trip. which station do i take train from shanghai. i am staying in holiday inn express zhabei shangahi.